love the collage look of your wonderfully done card mf. Went, saw, gazed and admired, and returned to say: WOW! 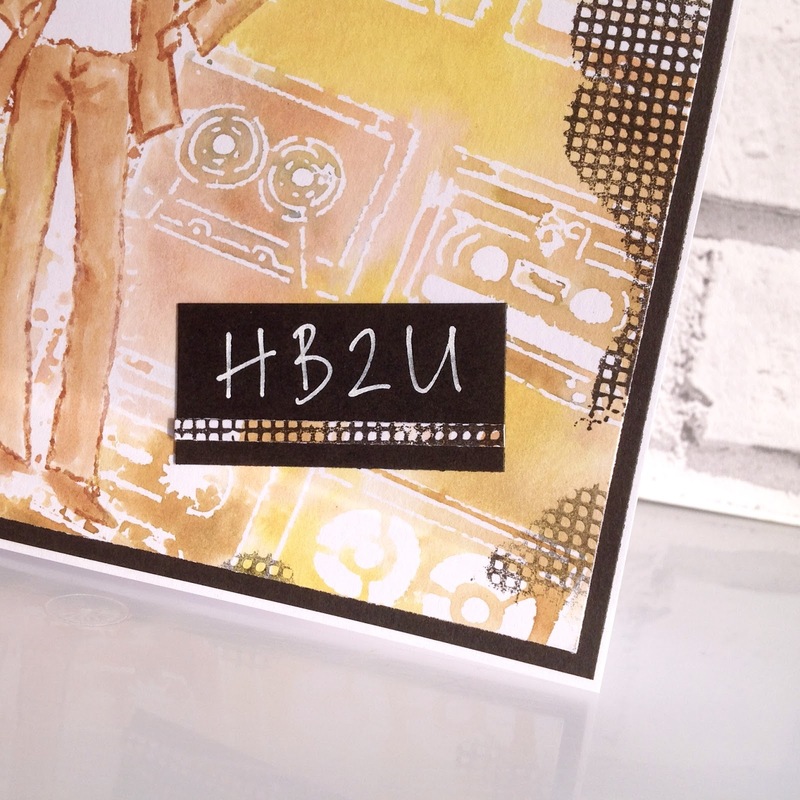 That is one trendy, artsy manly card! Love the cassette tape background; perfect for your 'cool' gentleman!